When people think plastic surgery, the first thing that comes to their mind is “frozen face” and surgery-gone-wrong horror stories. There is certainly a lot of stigma surrounding this practice, but why? Plastic surgery doesn’t have to be something negative. A lot of time, whatever procedure you have done can truly change your life. New age cosmetic medicine is all about looking relaxed and refreshed, and that’s what Shawn wants to do for his patients. So many times, people have asked me “what have you had done” or even better asked my mother “when did she (referring to me) have a facelift”! After my initial shock wore off, I had an “aha moment” because I myself have looked at someone with envy because of their great skin or their smooth, wrinkle free complexion. I can certainly attribute my great skin to not only good genetics that mother blessed me with but also a skin care regime that started at an early age. I remember in my teens never going to bed with my makeup on. During my long overnight flights to Europe, the first thing I do after my meal is take off my make up and apply an über hydrating crème, la prairie is my go to. High altitudes and the air on a plane can be very drying. 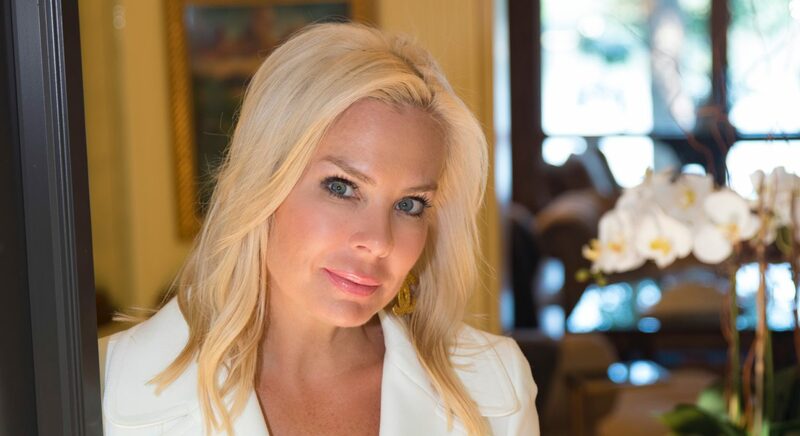 In my 30’s I started with the Obagi skin care program, which Magnolia Plastic Surgery carries, and that truly change my skin and gave the “glow” that everyone asks me about. I am not opposed to botox or injections to give me a more relaxed look, however, I am not ready for the knife and if I look at my mother nearing 70 years of age, I may never need the knife. Entering my 40’s has made me more aware the importance of staying out of the sun as much as possible and the important role a great “cosmeceutical-cocktail” can play in my life. If we keep tight-lipped (no pun intended) about the things we’ve had done, Shawn’s open house will be for naught. Spread the word ladies! Plastic surgery isn’t something to be ashamed of, and most times, it isn’t even surgery. There are plenty of things to do to help your skin be at its best that don’t include going under the knife. If you’re looking your best (even with a little help), that should be something to celebrate! So celebrate by bringing a friend, I’m sure they want to know your secret to looking fabulous. *Regular facials – A spa facial will do wonders for your complexion and getting them regularly can only improve your skin. *Cosmeceuticals – This is a mixture of cosmetics and pharmaceuticals, something that you would put on top of the skin to correct it. Shawn suggests the Obagi or Revision lines. *Chemical peels – Peels work by targeting the first three layers of dead skin and sloughing it away. It creates a refreshed look by diminishing the appearance of wrinkles. There are many types of chemical peels, so make sure to ask Dr. Birchenough which is best for your needs. *Laser peels – A bit stronger than a chemical peel. This can be used to target certain areas and dark spots. *Injectables – Botox and Juvederm. These are injected into the skin to fill places that need a little lift. 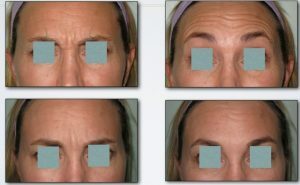 Fillers are made of natural proteins that are found in the skin and injected to the deeper wrinkles. These are just a few of the procedures that can be performed on you at Magnolia Plastic Surgery. All are non-invasive and can prevent or hold off surgery until you’re ready for a major change. 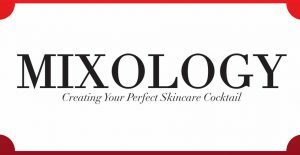 Shawn recommends starting your “skin maintenance program” as early as possible and says it is helpful to mix and match procedures and products. 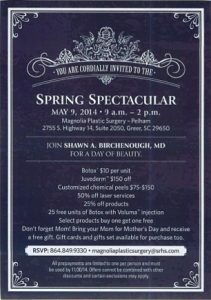 Join him May 9th for Spring Spectacular for a day of beauty. All patients get a free consultation with him so they can ask questions and learn what procedure is best for their individual needs. Many procedures and treatments are discounted for that day only and can be done in the office. Please call now for an appointment as private time fills quickly or visit his website, magnoliaplasticsurgery@srhs.com to learn more and to RSVP! you. 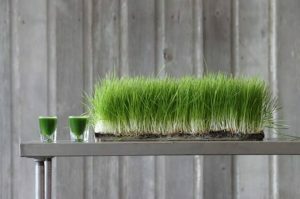 One does not juice to loose weight, however, weight loss is definitely a benefit of juicing. and stay focused on my task as if I am channeling Super Woman! cleanse I eliminate coffee! First day is hard but by the second day comes with clarity. craving it’s a small one that normally one bite of something sweet can take care of! you are blessing it with. MAJOR benefit! how she feels after juicing for almost 2 months, her simple response is “much better”! Her goal is to decrease her medication, to loose more weight in a “healthy” way and to spread the good news to her family and friends. protein balls and tell them I sent you! necessary, but feeding it the right things is essential. Let’s face it ladies, the “It-Bag” is a myth. There is no one certain bag that will be perfect for everyone. It’s impossible for everybody to like the same shape, same color and same design. And who wants that? I like my accessories to showcase my individuality! And unless your budget is over-flowing to allow for all the “It-Bags” you may want to read this in detail! Though there isn’t one bag for everyone, the neutral tone is a trend that is universal. A neutral bag isn’t based on its color, though it is a huge reason people purchase them. The beauty of these bags is in their versatility, how they fit into your lifestyle. A neutral bag should be able to transition into a season or a situation. It may be a structured black bag, a metallic satchel, a basic signature Louis Vuitton signature piece, or a simple straw tote. Any of these examples would fit with almost any outfit. Below are some of my favorites! Metallics are a great way to still make a statement with your accessories while keeping with the neutral trend. Silver, gold, bronze or gunmetal are all winners! Louis Vuitton has had the right idea from the beginning. Their signature color is traditional, yet classic. Stay away from knock-offs! Your bag doesn’t have to have a label to have a value! If you can’t afford designer bags, buy good ones with great structure and quality. I only ask that you not support the knock-off designer labels. A handbag doesn’t have to be wildly expensive to be the perfect bag for you. Make neutral purchases wisely, because if its good one, you’ll only need one! accessories, so I’ve figured out a way to have both your dream closet and the wardrobe to fill it. stand behind (or a closet I could stand in!). 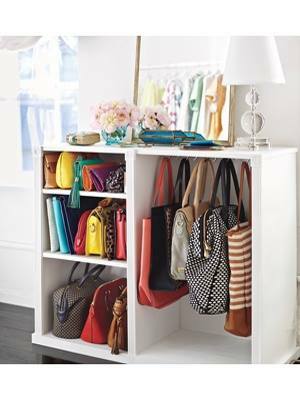 ● Stay organized – Have separate spaces for jewelry, clothing, shoes and accessories. Ikea closets have plenty of storage space for all your special items. the edges. Go from unfinished to completely redone in a flash! your shoes or your handbags so as to show them off. you can have style and storage and be able to afford it too. 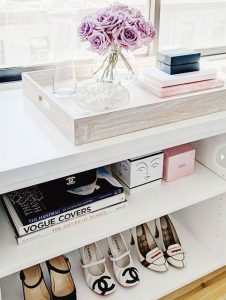 Couture Closets also offers closet makeovers & clean outs….it’s our White Glove service. Book your appointment today, get ready for Spring and Summer!